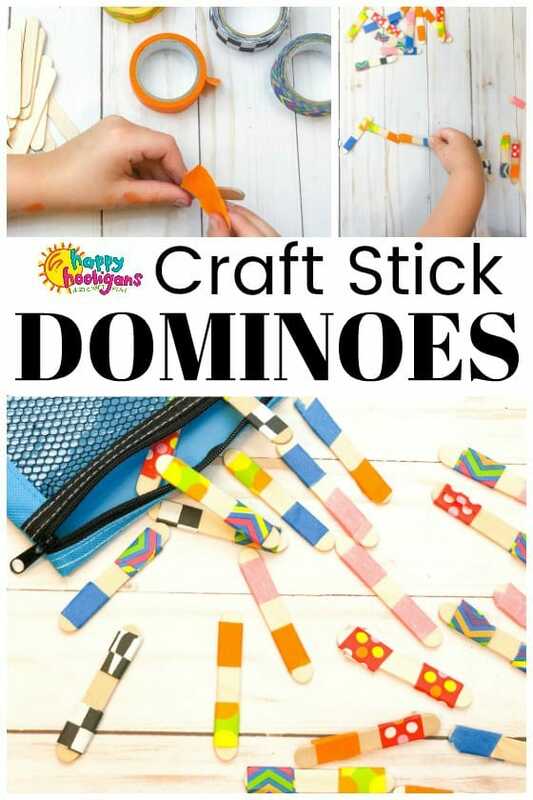 Craft stick dominoes are fun and easy for kids to make, and they’re excellent for early learning and play. 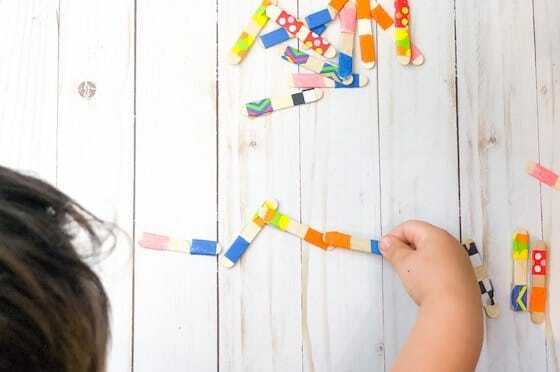 Making these homemade dominoes can help strengthen kids’ fine motor skills, and they can be used for fun preschool activities like colour and pattern recognition and matching. 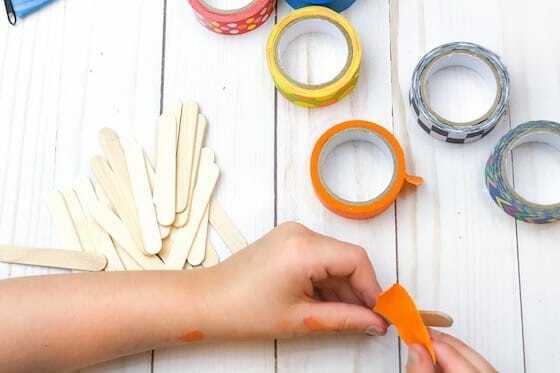 Craft sticks (also known as popsicle sticks) are a must in the craft cupboard with when you have young kids. 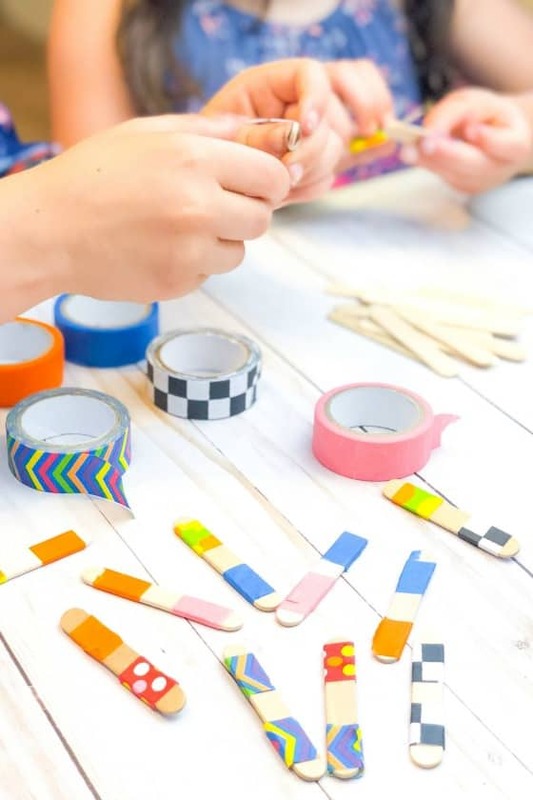 We’ve made loads of craft stick crafts here in my daycare over the years, but did you know craft sticks can be used to create fun homemade games and sensory activities too. 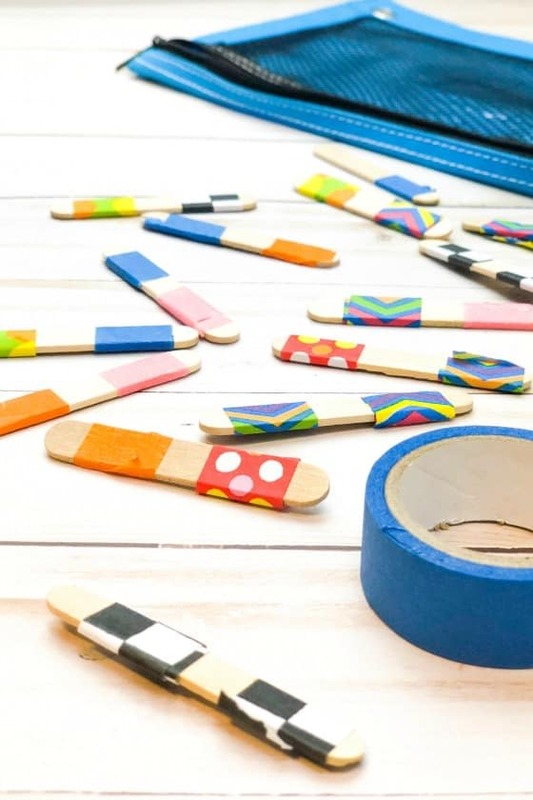 Today, we’re making craft stick dominoes that your kids can play with in a number of ways, with friends or independently, to practice colour and pattern matching. You probably remember playing with real dominoes when you were a kid. In a traditional dominoes game, players place their tiles end-to-end, matching the number of spots on the ends of their tiles. 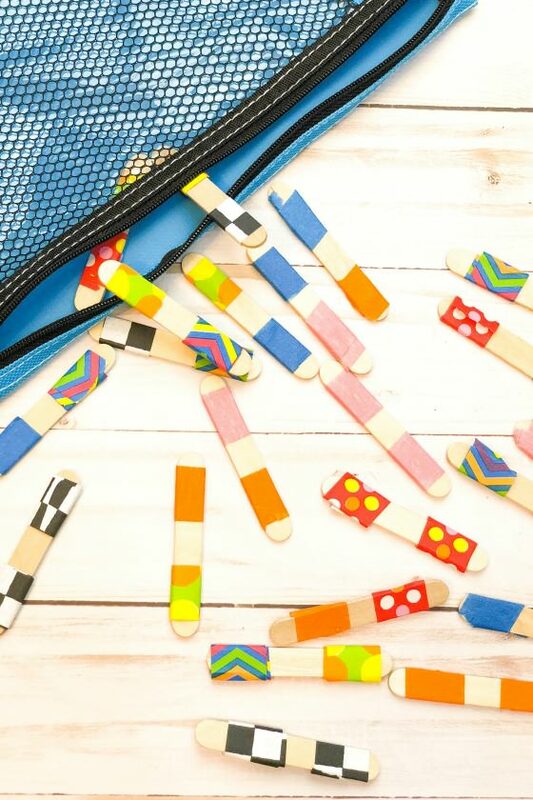 Our craft stick dominoes can be played with in a similar way, but instead of matching the number of spots like they would with traditional dominoes, your kids will be matching up colours and patterns on the ends of their craft sticks. 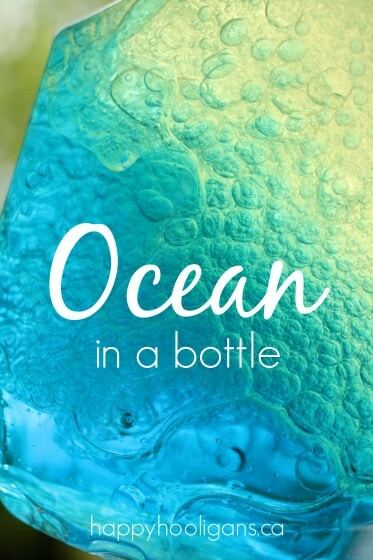 Small games like this are great as busy bags! 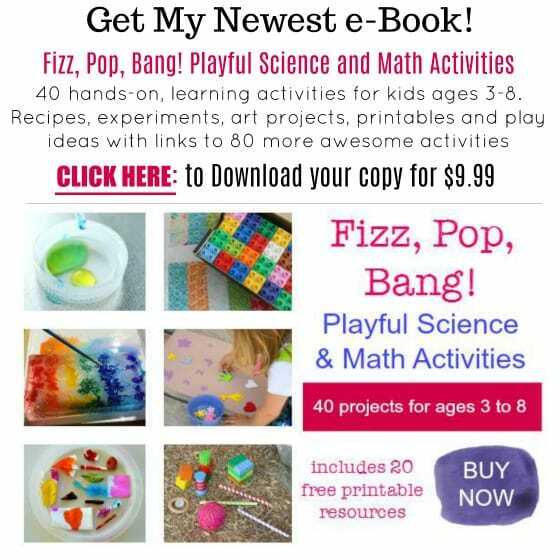 A busy bag is a small pouch or container that contains items that kids can manipulate or create with to bolster fine motor skills and independent play. I have always kept a stash of busy bags on hand for quiet time since my children outgrew their naps. 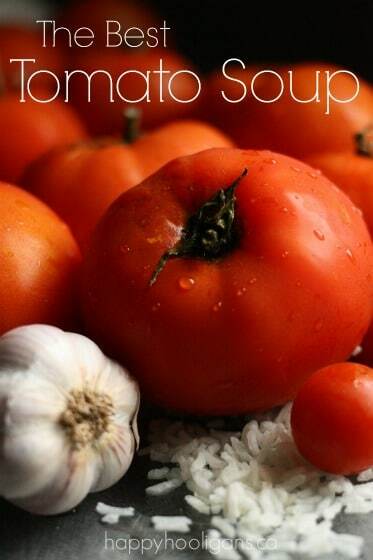 This has helped our routine stay consistent and gives everyone some much needed down-time in the middle of the day! The beauty of these DIY dominoes is that kids can make them themselves! 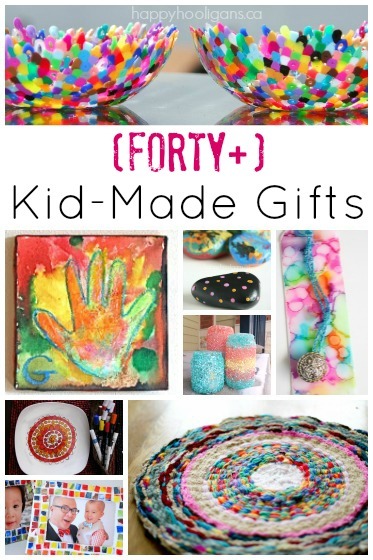 This is the perfect activity for preschool-aged children and up as they use their little fingers to wrap the craft sticks. Choose two different colours/patterns of wash tape for each craft stick domino, or use the same colour/pattern to create a ‘double’. For younger children, you can pre-cut strips of tape for them to wrap, while older kids can unroll and cut or tear the tape themselves. Wrap each end of the craft stick with the tape, until all of the craft sticks have both ends covered. Store your dominoes in a zippered pouch or bag to play with at home, or on the go. Each player draws 5 dominoes from a pile (this number can vary depending on how many dominoes you have made and how many children are playing, as long as each child starts with the same number of sticks). The first player lays down a domino in the center of the table. Going clockwise, players can lay down a matching colour or pattern. If a player doesn’t have a match, they can draw from the pile. Play continues until the first player is out of dominoes! 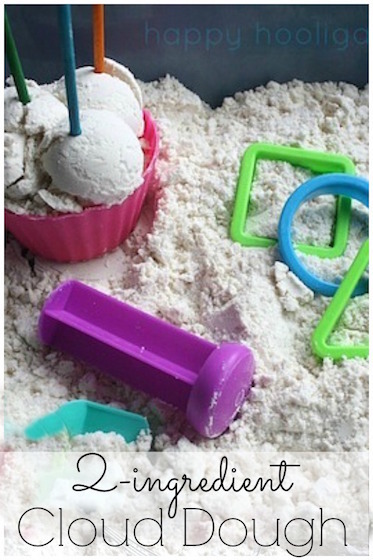 This is a fun way to play for older preschoolers and early elementary-aged children. Kids can practice finding matching colours and patterns and play the game above solo. The craft sticks can be manipulated to make shapes or letters. Sort the craft sticks by colour or pattern, and see which piles have more or less. 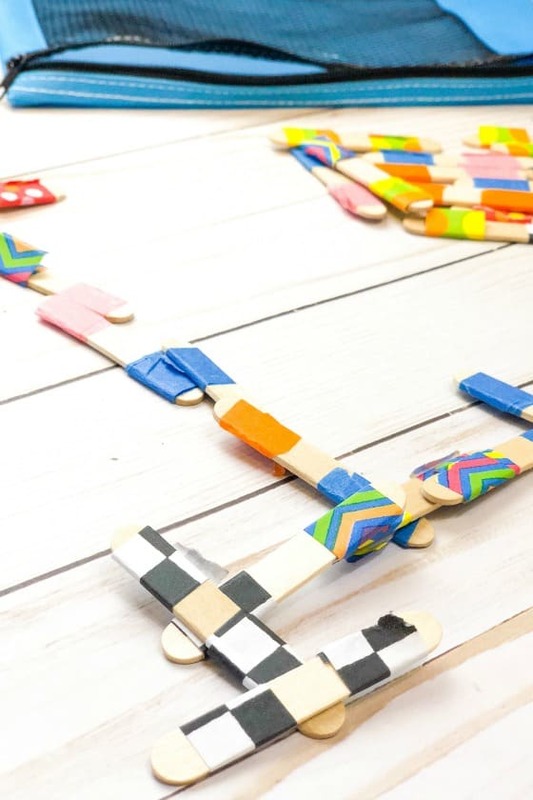 Craft stick dominoes make learning fun for toddlers and preschoolers. 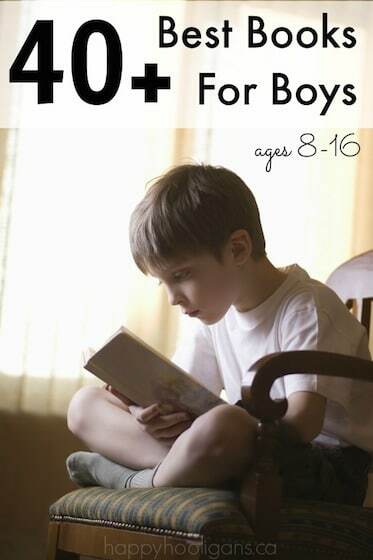 They’re great for home or daycare, and perfect for a busy bag that you can give the kids at quiet time or to keep kids entertained when you’re waiting at an appointment or in a restaurant. 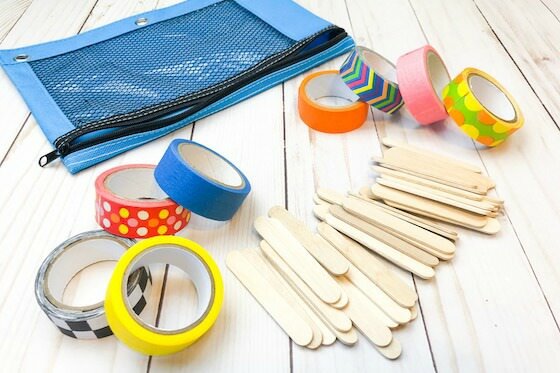 From wrapping the sticks with tape, to playing a game independently or with friends, young children will love to create and play with these!